Several BYU-Hawaii peacebuilding program students launched a process to revisit and build constructive dialogue about the Honor Code months before the BYU Restore Honor movement took off in Provo around the beginning of April. 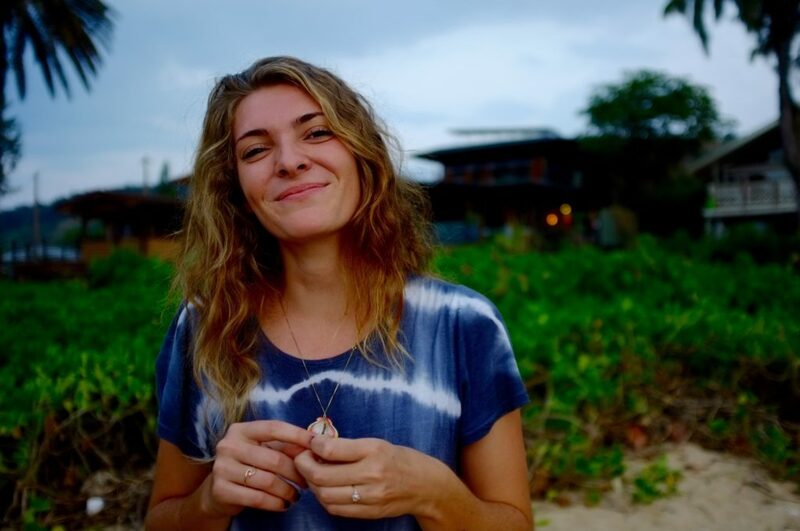 Bailee Rasmussen, a senior at BYU-Hawaii, picked up the project at the beginning of the winter semester from a group of graduating seniors, who like her, are from the university’s peacebuilding program. The former group’s interest in getting involved with potentially reforming the Honor Code and its enforcement was sparked by some of the injustices on campus, she explained. These students decided they wanted to do something about it and thought they might be well-suited for the project because of their background in peacebuilding. Rasmussen explained the former group started the process by building relationships with administration. Eventually, they were given permission to administer a survey about the Honor Code to a group of students. Which, Rasmussen said, they did, but the data was inconclusive because their access was limited — they only surveyed a relatively small percentage of the student body. Nor did they have time to start the process again because they were graduating. “That’s where we came in,” Rasmussen said. Rasmussen and two other peacebuilding students refined the survey, added more questions and emailed it out, this time to the entire student body. The group is currently in the middle of analyzing the data and plans to present the findings to BYU-Hawaii’s President’s Council. “Our objective is not to go and tell the Honor Code Office everything they are doing wrong. We don’t think that’s going to work,” she said. The trio is pulling from their background in peacebuilding to accomplish the feat. Rasmussen pointed out that telling someone everything they are doing wrong often leads to resistance and rarely invokes lasting change. She explained sparking change productively takes time coupled with effort, pointing out she’s noticed a lot of us vs. them mentality on campus between students and the Honor Code Office. But people won’t be open unless they trust you, she added. 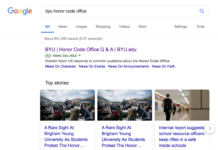 BYU students’ efforts, dubbed the Restore Honor movement, is a social media campaign working with the Honor Code Stories Instagram page to address alleged mistreatment of students by the Honor Code Office. The movement was sparked by the Instagram page, which as of April 15, has more than 35,000 followers. BYU graduate Sidney Draughon created the Instagram account back in early January, around the same time Rasmussen picked up the project at BYU-Hawaii. Draughon’s Instagram account took off around April 1, as her inbox exploded with hundreds of anonymous submissions. Some students said they were put on probation or expelled for LGBTQ-related issues, others told about being anonymously reported for something as simple as violating the university’s dress and grooming standards or watching an R-rated movie. Rasmussen said someone at BYU-Hawaii also started an Instagram account to post student submissions, but she has no idea who it is. They aren’t involved with her group’s efforts. BYU-Idaho also has a page, though it has a fraction of the followers that the BYU Honor Code Stories page does — 1,723. 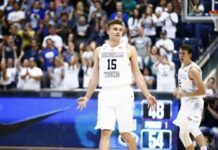 BYU-Hawaii’s has even fewer at 91. Rasmussen said her group’s efforts are well-known throughout campus and have sparked many conversations this semester. She said her group prioritizes giving everyone a voice, whether that be victims of violence perpetrated by school structures or by giving administrators a chance to reflect on how they feel about the Honor Code and how they might improve. Rasmussen said while things have always been tense between students and the Honor Code Office, her group’s relationship with the administration has been positive. “From what we’ve seen so far, they are really open to what students have to say. They want to know where things can improve,” she explained. “I think allowing the right spaces for everyone to think outside of the (Honor Code) structure is what is needed. About the Restore Honor movement on the BYU campus in Provo, Rasmussen said it’s hard to judge the efforts from across the ocean. However, if even a majority of the student submissions are true, the group’s efforts are fantastic, she said. “They are peacefully protesting, they have permission from administration, they are writing letters — I think what they are doing is really good and I think that the people that are in charge of it understand the needs that are there,” Rasmussen said. She added she’s unsure if something of that scale would work at BYU-Hawaii because the campus is far smaller, but there isn’t only one way to accomplish change.